PayrollHUB takes human resources and payroll functions off their clients’ plate so that their clients can concentrate on doing the work that matters most. The owners were breaking off to start their own company. They came to Agency73 in need of branding and a new website. 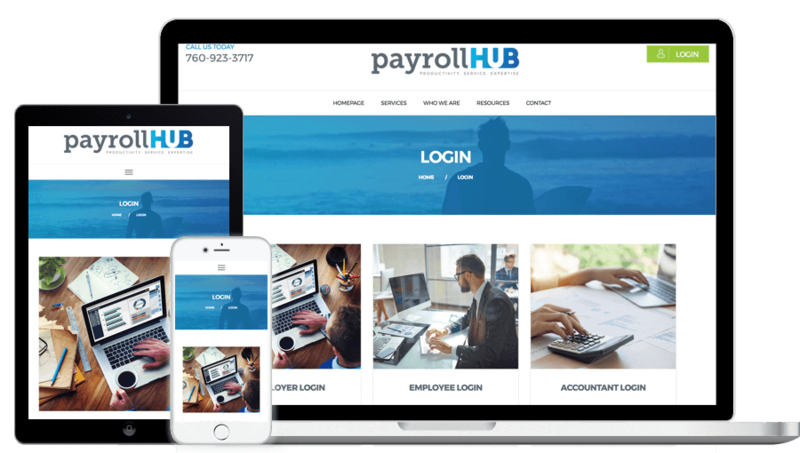 PayrollHUB worked with our design team to create their new brand. They collaboratively built a new brand from scratch to reflect their modern and holistic approach to their clients’ success. 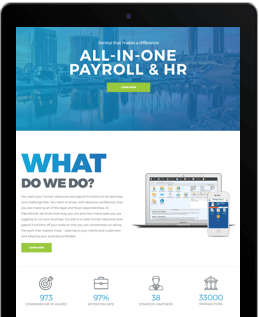 After their new logo and brand guidelines were established our team worked with PayrollHUB to design their new website. This was done in close coordination with our developers and the client to facilitate the smooth transition into development. Having worked with the client and designers to select the platform and WordPress theme on which the site would be built, our developers went to work. Agency73 recommended using a WordPress build for this site for several reasons. Being an opensource platform, WordPress is very cost-effective for the type of site we were building. WordPress makes it easy to keep the site and platform updated. Also, WordPress’s WYSIWYG content editor made it easy for the non-technical members of their team to edit to the site and update content.